RasterEdge .NET EAN-13 barcode generation add-on is a fully functional utility, which offers advanced and mature API for C# developers to create high-quality EAN-13 barcode and add generated EAN-13 barcode to target document or image file in both .NET web-based application and Windows Forms project. Here we offer a brief feature list of RasterEdge C#.NET linear EAN-13 barcode generator add-on. You can easily generator EAN-13 barcode and save it to image files/object using this C#.NET barcode generator control. 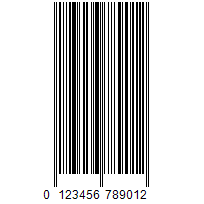 The following steps will show how to create a EAN-13 type barcode encoding numeric data text "012345678901" into the image object with XImage.Barcode.Creator. Please copy the sample code as follow to generator a EAN-13 barcode. In this section, we will offer you a C# programming example which aims to demonstrate how to generate a standard EAN-13 barcode on raster image file PNG. Using RasterEdge .NET EAN-13 barcode creator add-on, you can also generate EAN-13 barcode on other image file formats, like JPEG, BMP and GIF. Besides generating EAN-13 barcode on image files, RasterEdge C#.NET EAN-13 barcode creator can also generate & add EAN-13 barcode on document files, like PDF, TIFF, Word, Excel and PowerPoint. Using the sample C# codes below, you can not only insert EAN-13 barcode on target document page, but also own the ability to adjust the position where created EAN-13 barcode will be located. The C# code demo below contains all parameters that C# developers can use to create a customized EAN-13 barcode on target image file. For example, you can adjust the size, color, font style and generating orientation of created EAN-13 barcode by C# code.